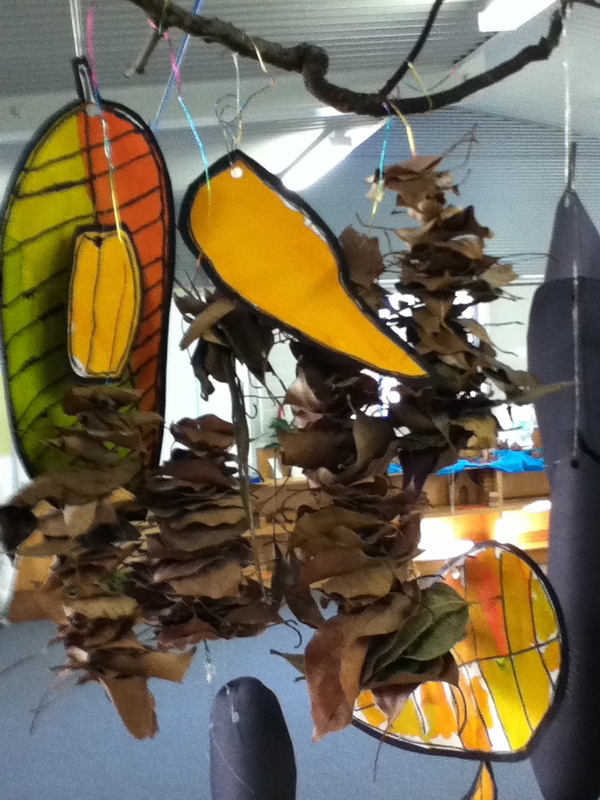 Ok so it's no longer Autumn here but my kids have been really keen on drawing the leaves they have found in their visual diaries (paying particular attention to the veins of each leaf) so we decided to make an Autumn leaf mobile to showcase their work. 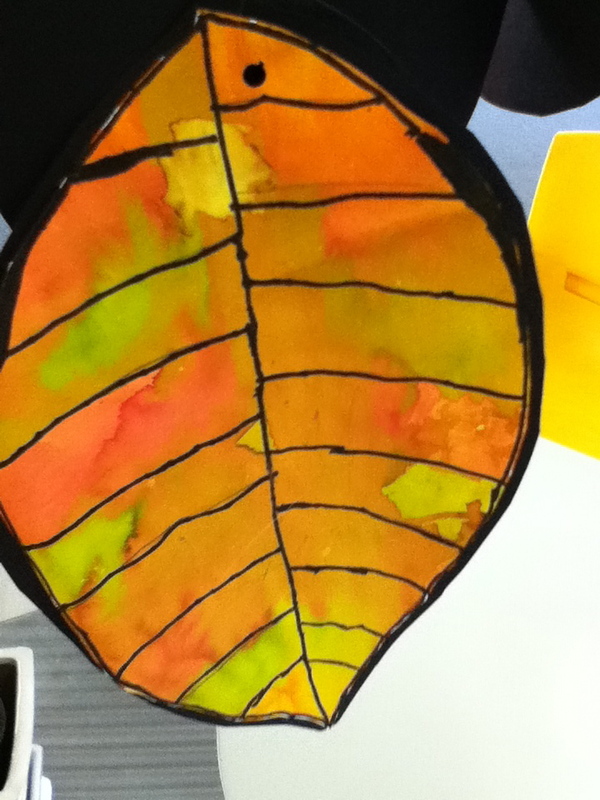 The children drew their leaves with permanent marker then brushed their paper with water (to make it more absorbent). They then used eye droppers to drop dye in different Autumn colours (that they had helped to mix) onto their leaf. 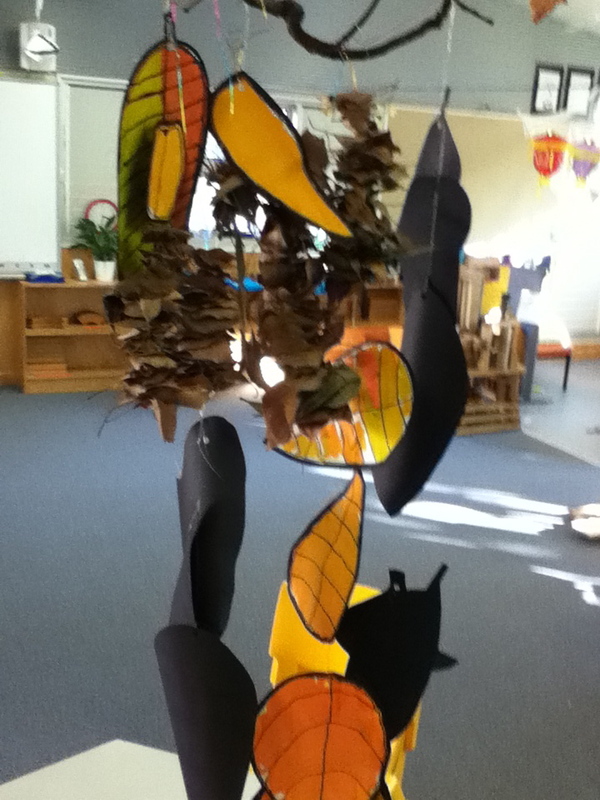 We collected up all the leaves we had found and pushed them onto thin wire to complete our mobile! This activity was great for talking about line and for developing the children's fine motor skills. I love your mobile and the fact that you followed the children's interests! Can't wait to give these a try. Oh my these are gorgeous. I'm happy to have found your blog!